Why is JFK Still So Popular? It’s been 100 years since John Fitzgerald Kennedy was born. It’s been more than a half century since he was assassinated after serving as president for less than three years. High Marks: And yet Kennedy is consistently ranked among our greatest presidents. A survey of historians this year pegged Kennedy as our 8th best president. 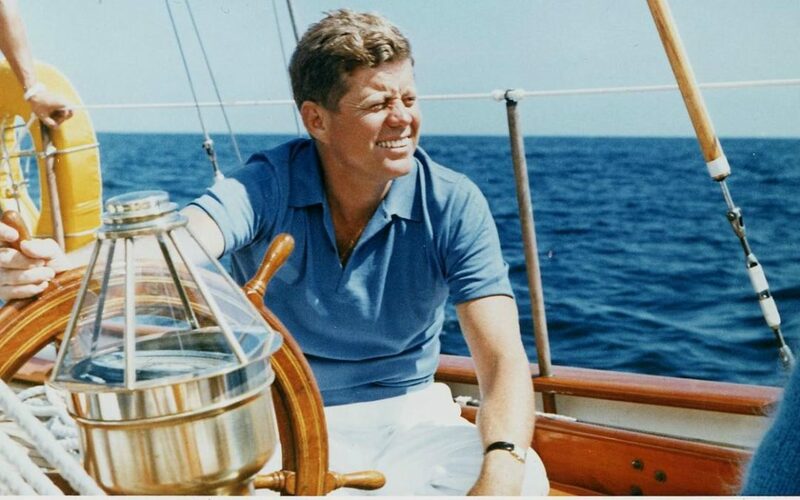 A Gallup poll from 2013 revealed that Americans think JFK was our greatest president of the post-war era. What accounts for Kennedy’s immense popularity with both the people and professionals? New Book: In a newly published book (The Afterlife of John Fitzgerald Kennedy: A Biography, Cambridge University Press, March 3, 2017), author Michael J. Hogan (Distinguished Professor of History at the University of Illinois, Springfield) argues that Kennedy’s enduring popularity is attributable to a couple of factors. The Kennedy Brand: First, Kennedy and First Lady Jacqueline Kennedy, went to great depths during his presidency to construct an image or brand, conveniently hiding less than desirable aspects of his story (his reckless womanizing, precarious health, and dependence on pain-killing medications). When he was assassinated in 1963, a grief-stricken Jackie continued to drive the public image with her involvement in details of his funeral, where he would be buried (Arlington National Cemetery), and the focus of the Kennedy Library and Museum. She wanted her late husband to be remembered as a war hero, a family man, a father – the ideal American who was a great president. And so through the years, she fought vigorously to suppress negative books and encourage positive ones about JFK. She and other members of the Kennedy family controlled what records would and would not be released to scholars at the library. She invented the Camelot imagery of his presidency. She was a driving force in preserving, protecting, and promoting his legacy. Jackie wanted him to be remembered more for his style and for the magic of how he made people feel than for his legislative and other accomplishments. Comparing JFK with Subsequent Presidents: The second reason for Kennedy’s enduring popularity is based on who followed him into the Oval Office. Lyndon Johnson and his albatross of Vietnam soured the nation. Richard Nixon and the scandal of Watergate and his resignation created a skepticism about government. In some ways, Kennedy’s assassination served as a marker in time when the innocence and optimism was lost – when the 1960s began. With Kennedy, everything was possible. So when he is compared with the presidents who followed him, he looks very appealing. Politicians on both sides of the aisle have tried to claim Kennedy, invoking his memory and his words. Conservatives have argued he was a conservative and liberals count him as one of their own. Bruising Battles: The book recounts the court and other battles between the Kennedy family (led by Jackie) and those aides and others who might try to publish less than flattering accounts of JFK. 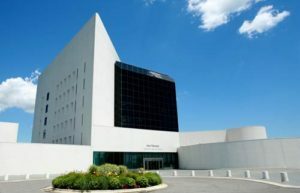 It discusses the fight about Kennedy’s legacy in the creation and operation of the Kennedy Library and Museum. Where should it be located? What should be its focus? What records would be released to historians and which would remain hidden in order to protect Kennedy’s legacy? These ongoing issues reflect what the author calls “the tension between history and memory, between what is recalled and what is forgotten.” Even today, many records of JFK, Robert Kennedy, and Jackie remain restricted and not available to historians. Presidential Bonfires: The Kennedy family was certainly not the first to try to control a president’s legacy by what documents were made public or hidden. Thomas Jefferson burned letters with his wife after her death, Martin Van Buren destroyed most of his correspondence, and Chester Arthur burned three trash bins of his papers the day before he died. The wives of George Washington, Abraham Lincoln, Warren Harding, and Harry Truman were known to have burned mounds of correspondence and other records. 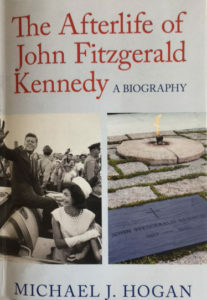 Conclusion: Hogan’s book, The Afterlife of John Fitzgerald Kennedy: A Biography, is very readable and well researched. It addresses how Kennedy moved from history into memory, the ongoing battles between what history would be revealed vs. concealed, and the tensions between promoting JFK’s style that so captivated people vs. the substance of his policies. The book offers a fascinating window into why John F. Kennedy remains so popular today.